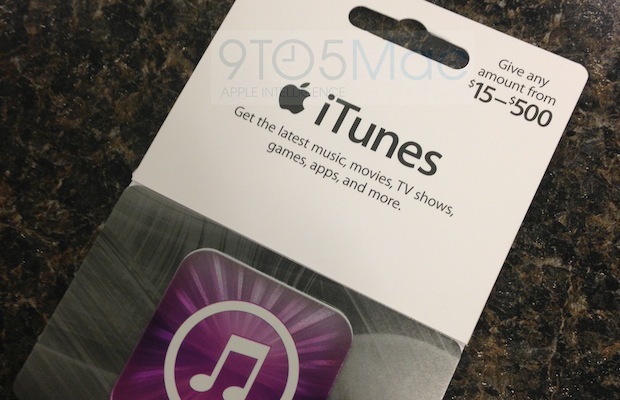 Instead of combing through the gift card aisle for just the right iTunes denomination, you'll soon be able to get one of these newly released variable gift cards instead. Just bring the card to the cashier, pick an amount between $15 and $500, and it'll get validated for that amount. The Cupertino company has offered variable pricing for regular Apple Store gift cards for awhile now, but iTunes cards had previously only been available in $15, $25, $50 and $100 options. These cards should also be compatible with an iTunes 11 feature that lets you redeem gift cards by scanning the code with your computer's camera. We're not sure which third-party retailers are offering these just yet, but it sounds like a decent last-minute impulse gift for your iOS-loving pals.